ISLAMABAD: The Protest demonstrations and rallies against long loadshedding and unavailability of drinking water continued in almost all parts of the country on Monday. About 10-hour power outages hit the Karachiites hard and people took to the streets in Lahore, Kasur, Jhelum, Sheikhupura, Faisalabad, Hafizabad and various other cities. In the worst incident, at least 30 people including nine policemen were injured, when police tried to disperse protesters at Mirpur-Mangla Road. They were trying to besiege the Mangla Dam Powerhouse in protest against the 18-hour unscheduled loadshedding in the district having the country�s second largest reservoir. They were also demanding immediate and complete exemption of the district from loadshedding in recognition of the sacrifices of the local population for construction of Mangla Dam. During the protest, at least 30 persons were injured including nine policemen. They were rushed to the hospital. The injured cops were identified as Inspector Thothal Police Station Khawaja Abdul Qayyum and eight constables including Nazim, Anser, Basharat, Aziz and Muhammad Salim. Similarly, at least 10 citizens were severely injured and brought to Mirpur District Hospital. Over a dozen others, who sustained minor injuries, were discharged after first aid.Police fired warning shots and used teargas as furious protesters rallied against prolonged power outages. TV footages showed the demonstrators clashing with the law enforces as they refused to disperse. The protesters said they would go to the Mangla Powerhouse.Senior police officials tried to pacify the protesters and assured them through a notification that only scheduled loadshedding of four hours would be carried out in their areas but to no avail. The demonstrators rejected the notification as they were of the view that it was only aimed at disbursing the protesters. They said that such notifications were issued in the past were not implemented. In Rawalpindi and Islamabad, the people are compelled to spend sleepless nights due to frequent power outages after every hour. It is to be noted that in the hot summer season, the people were forced to bear the apathy of the Islamabad Electric Supply Company (Iesco) who seemed to be least bothered about their miseries. When contacted, an official at Iesco Complaint Centre admitted that there was a regular unscheduled loadshedding in the whole region.He alleged the National Power Control Centre (NPPC) for forced loadshedding and said former NPCC general manager was also removed by the Ministry for Water and Power on charges of switching off power grid stations. Lesco announced the other day that 12-hour loadshedding would be carried out in Lahore, and people would get electricity in alternate hours. 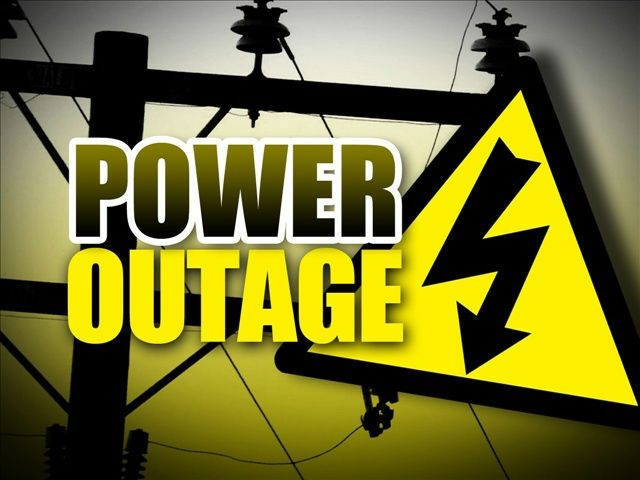 However, the promise was not fulfilled and up to 18 hours outages continued making people�s live miserable. The residents of Mustafabad Town, Lahore, staged a protest demonstration against non-availability of water. Other demonstrations were held in Samanabad, PCSIR Society, Ferozpur Road and other areas. Kasur Correspondent adds: Hundreds of people including powerloom workers, students and members of civil society took out protest rallies against more than 20 hours of loadshedding here on Monday. The situation went bad to worse when people had to face a 12-hour outage at a stretch. Angry crowd blocked Ferozpur Road from Kutchery Chowk which suspended traffic for several hours. People smashed flexes, billboards and poles. They beat their chest and chanted slogans against the government and the political leaders. On the occasion, the protesters exchanged hot words and scuffled with passers-by. The protesters blocked roads which caused great problems for motorists and road users. Peoples continued their protest for many hours. Faisalabad Correspondent adds: People staged a demonstration against power and gas loadshedding on Samundri Road. The protesters pelted police with stones and damaged vehicles and other goods. In retaliation, the police also started shelling to disperse the protesters. The protesters said that they were sick and tired of long power outages. Later, the protesters dispersed. Pakpattan Correspondent adds: Dozens of schoolchildren and other people fainted in the district due to long power shutdown in scorching heat. Over 20-hour loadshedding baldly affected people in the district. People remained indoors. The City and its adjoining areas wore a deserted look. Power shutdown created problems for people. They faced water shortage and factories remained closed due to long loadshedding.